Available in e-book edition for Amazon Kindle, Barnes and Noble Nook, and Kobo and in print edition on Amazon. Jill awakens in the mental health unit of Norfolk General hospital to the realization that she has failed once again to end her own life. To her way of thinking, it was unfortunate that the EMTs had managed to revive her from the overdose of powerful prescription drugs she had swallowed the night before. Her call to the suicide hotline would be considered by some a cry for help, but she just didn’t want to die alone. How did it come to this? What has led her into this house of mirrors? How will she find her way out? Follow Jill’s journey into a world of counselors, doctors, hospitals, and psycho-pharmaceuticals and, ultimately, to the therapist who saves her. 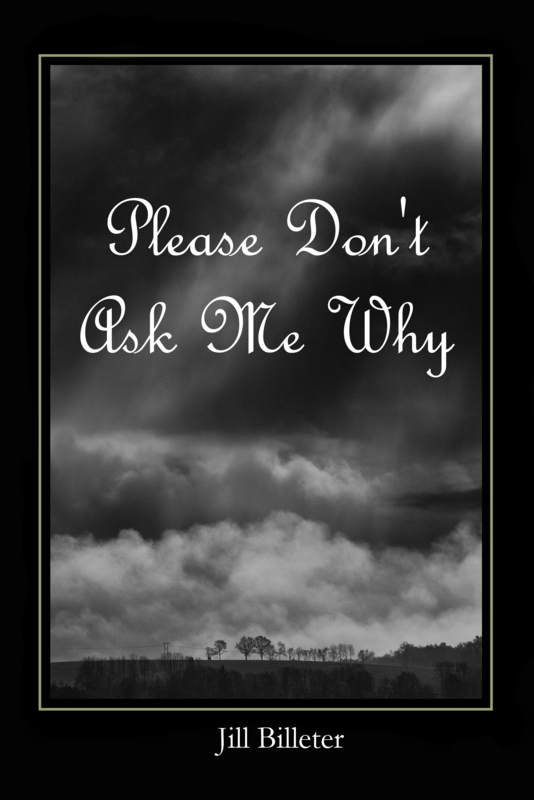 Please Don’t Ask Me Why is a powerful tale of one woman’s fight against the forces of depression and a tribute to the man who taught her the artful tools for her survival.